on the Speyside Way walking route, with distilleries and castles nearby. 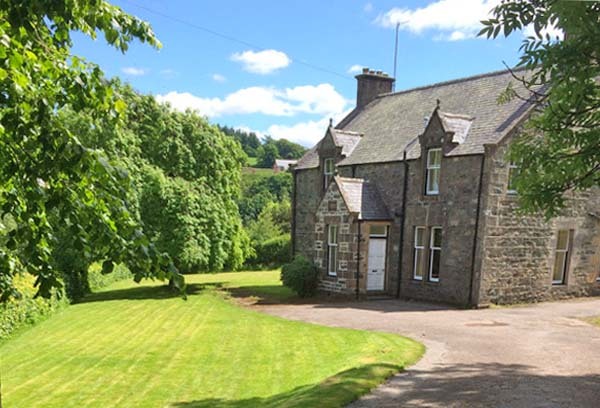 Rent this large house for a get-together with family or friends - it's on the Malt Whisky trail with the River Spey on the doorstep it's also superb for a fishing holiday in Scotland, and only an hour from Inverness and Aberdeen airports. The house is located on the edge of the village of Craigellachie, with a stunning view of the Spey. 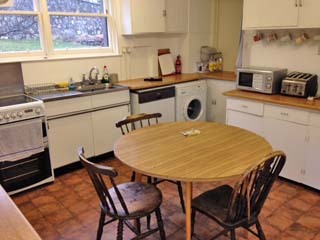 It's a very spacious property so ideal for a get-together with friends or family in the Scottish highlands. Speyside is one of the most beautiful parts of Scotland and the heart of whisky country - you are spoilt for choice with so many whisky distilleries nearby that are open to the public. Follow the Malt Whisky Trail and visit historic distilleries, learn from the masters and sample the world's finest whisky. The village is home to two distilleries (Craigellachie Distillery and Macallan Distillery) and the Speyside Cooperage - the only cooperage in the UK where you can see the ancient craft being practised. The Speyside Way walking route passes through Craigellachie and the path along the river is stunning at all times of the year - the autumn colours are spectactular. You can fish for salmon and trout on the River Spey, with some of the finest beats within walking distance - this is a perfect house if you want a fishing holiday in Scotland. It has been the owners' fishing lodge for over 35 years and is very well equipped for fishermen - there's a garage for storing waders and rods and a chest freezer for your catch. Speyside is a wonderful place for a holiday and this is an ideal house - great restaurants and superb whisky bars within walking distance, distilleries, fishing on the Spey, castles, beautiful walks and cycle rides to name just some of the many attractions! 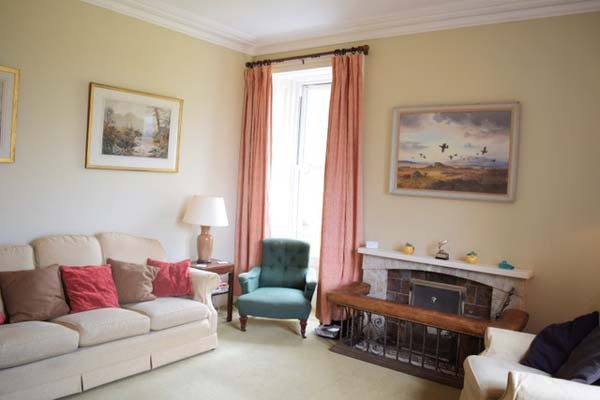 This very spacious and comfortable house is ideal for a gathering of friends or family to celebrate a special birthday or anniversay or a holiday together in Scotland. The house sleeps maximum 10 guests but there is an additional single room so parties can divide themselves over the 6 bedrooms. On the ground floor is the sitting room with an open fire (there's central heating too of course! ), a dining room, kitchen equipped with everything you'll need, two twin bedrooms, a bathroom with bath and shower, and a separate WC. On the first floor are 2 twin bedrooms, a double and a single room. There are also 2 bathrooms with bath and shower fittings. 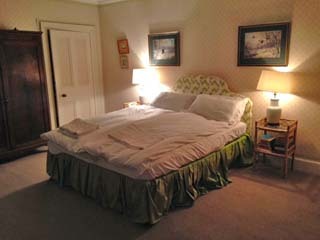 There are new, comfy beds and linen as well as masses of hot water. The views over The Spey and the beautiful countrside are superb. The house has off road parking for five cars and is set within its own hedged lawns. The gate to the drive is dog and child proof, and the road is quiet. There is a garage in which rods and waders can be stored, and there is a chest freezer which guests are welcome to use. On edge of Craigellachie village - full directions on booking. WiFi and electricity are included. Initial supply of logs for the fire are included - then there is an 'Honesty Box' on the hall table for log usage if guests prefer to get from the garden shed, rather than purchasing from the local garage. Braeriach is rented out throughout the year. Check in 3pm, check out 11am. 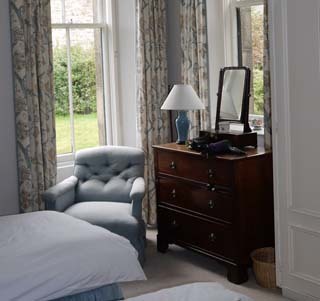 To book this large Speyside house click the enquiry button below and see availability and prices. This charming highland house for 10 is a great place for a fishing holiday, The River Spey is well known as one of the best salmon and sea trout rivers in the world and is also an ideal location to explore all the delights of the Speyside, including the many distilleries nearby.